Coming off an important win over Marquette Monday night, the Blue Demons (17-6, 9-2 Big East) continued their hot streak Friday with a decisive 77-67 home victory over the Creighton Blue Jays (13-9, 7-5 Big East) to stay No. 1 in the Big East. 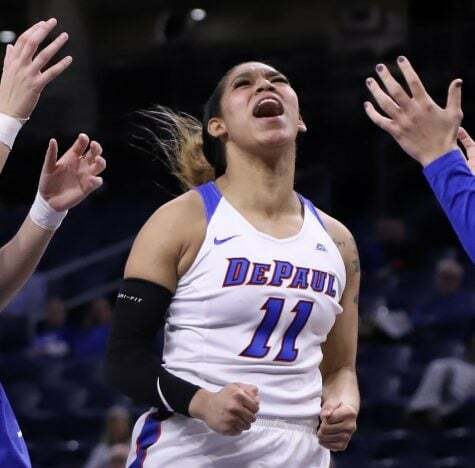 Despite only making 25 percent of their 3-point attempts, the Blue Demons brought the entire package of team basketball outside of that statistical category. 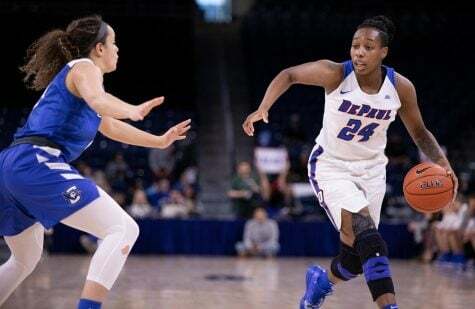 The Blue Demons shot 48.4 percent from the field, grabbed 39 total rebounds, dished out 20 total assists, and converted on 10 of their 13 free throw attempts. Along with the Blue Demons’ strong offensive performance, they made their presence felt on defense through tight man-to-man coverage, which proved troublesome for the Blue Jays as they only put up 29 points in the first half on 40.7 percent shooting from the field. Offense on the Blue Jays’ end was nowhere to be found in the first half, as their top two leading scorers, Audrey Faber and Jaylyn Agnew, combined for an underwhelming five points. 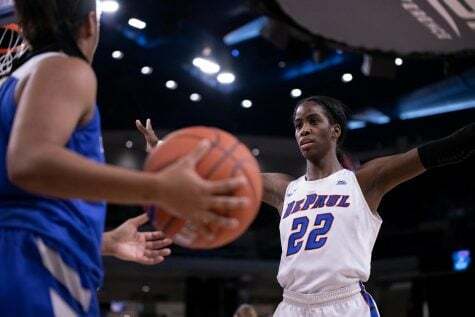 Redshirt junior Mart’e Grays, a six-foot-two-inch forward who leads the team in scoring this season with an average of 14.9 points per game, was a scoring machine and paved the way for the Blue Demons. Grays tied her career-high in scoring with 25 points off of 10 made field goals, which was a career-high for Grays in total field goals made. In addition, Grays drained three 3-point field goals. The scoring total began right from the get-go for Grays. 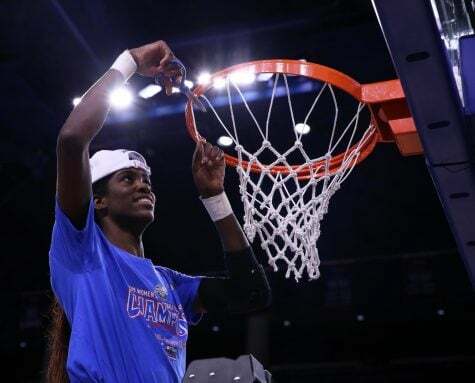 In the first quarter alone, Grays scored nine points and opened the game with aggressive play that included three driving layups and a 3-pointer from straight away to put her scoring total at nine points. “It was me just trying to find the openings in our offense,” Grays said. 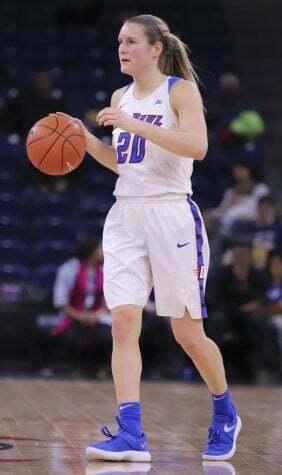 Grays’ offensive production continued in the second quarter, as she scored the first six points for the Blue Demons to give her a total of 15 points on seven-of-12 shooting going into intermission. Likewise, Grays provided early offense in the third quarter by nailing and 3-pointer from the left-wing just 30 seconds in. While Grays’ proved to be dialed in for the duration of the game, she credited her success on both execution and help from her teammates. 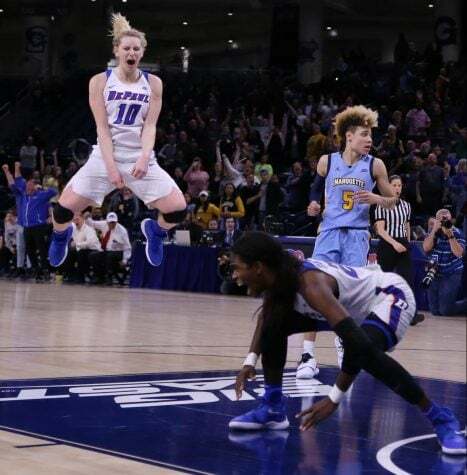 Another key factor to the Blue Demons’ win was Lauren Prochaska’s all-around play. Prochaska, a five-foot-eight-inch senior guard, tied her career-high in total points in a game with 12 points. Additionally, Prochaska shared the ball more than often and had seven assists along with hauling down three rebounds. Quite frankly, the biggest surprise of the game was sophomore forward Chante Stonewall. After playing only two minutes in the first half, Stonewall played 14 minutes in the second half and made the most of her time on the court as she scored 12 points on an efficient six-of-seven shooting from the field. 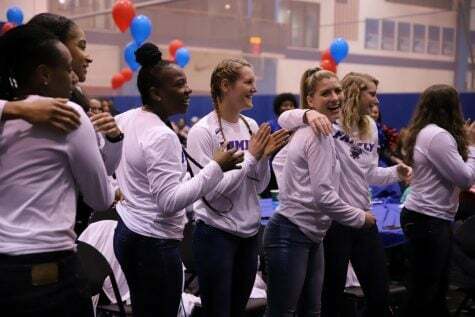 Kelly Campbell, the team’s leading rebounder who averages 10.3 rebounds per game, grabbed a team-high 15 rebounds and unselfishly had six assists. Junior guard Tanita Allen had a good game too, scoring 11 points and pulling down four rebounds. “I love the fact that we have multiple people that can score,” head coach Doug Bruno said. 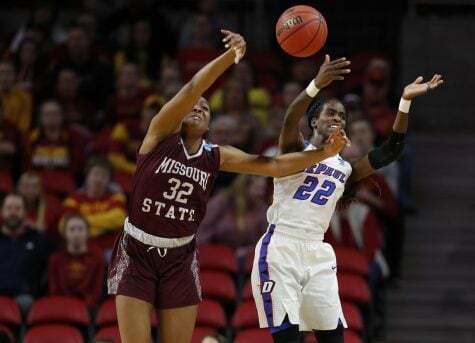 When the beginning of the fourth quarter rolled around, the Blue Demons held a commanding 61-46 lead. Getting a bit lackadaisical on defense, the Blue Jays opened the quarter on a 9-2 run to trim the lead to 63-55 with 6:50 to play. At that point, Bruno had seen enough and called for a timeout to get his team focused on a possession basis for the remainder of the game. “We really work here at playing possession-by-possession basketball, and we try not to play to the score,” Bruno said. Fortunately for Bruno, the Blue Demons finished the rest of the fourth quarter with poise following that timeout. The Blue Demons ended up making three straight layups and with 1:35 left, Grays put icing on the cake with a 3-point field goal from the right wing to give the Blue Demons a 75-67 lead. 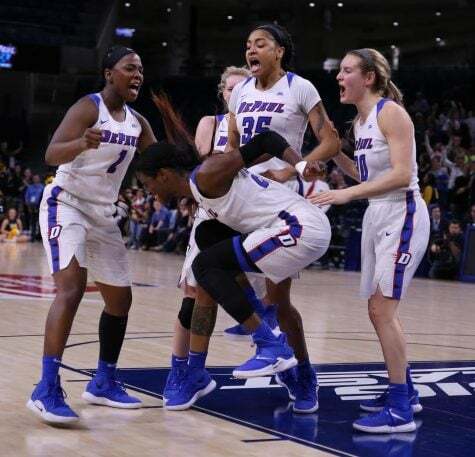 A win is still a win no matter what, but the Blue Demons still have to tweak some things in order for the Blue Demons to build on a more consistent team identity. By his players doing so, Bruno believes that could result in more team progression as the regular season winds down. “We’re random, and random’s okay, but as you get toward the tournament time, you gotta find a little bit more continuity to the niche,” Bruno said. The Blue Demons will be back in action Sunday afternoon for a pre-Super Bowl showdown, as the Providence Friars come to Lincoln Park.